Love Your Sourdough Starter? In Stockholm, You Can Hire A Sitter For It : The Salt A batch of starter can live indefinitely, but it also requires a certain amount of care and feeding. Apparently, that can pose a problem for Swedes and their five weeks of annual vacation. A batch of sourdough starter can live indefinitely, but it also requires a certain amount of care and feeding. In Sweden, bakers jetting off for vacation can leave their precious starters in the care of a sitter at the airport. Ah, Stockholm: the only city in the world (we think) with such a meticulous dedication to artisanal bread that it's possible to hire a baby sitter for your sourdough starter. 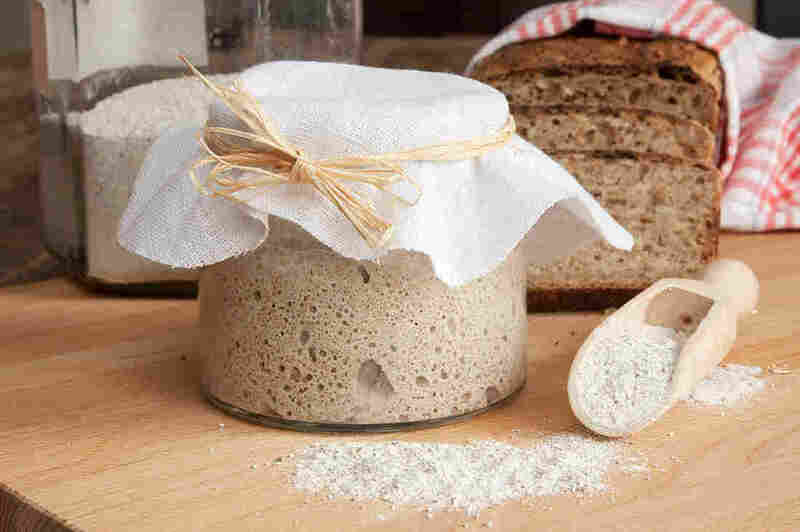 Sourdough starter — a fermented mix of flour, water and procreating microorganisms — is the crucial ingredient in bread made the old-fashioned way, without the help of commercial yeast. A batch of starter can live indefinitely, getting passed on or shared as it grows and expands. But it also requires a certain amount of care and feeding, which apparently can pose a problem for Swedes and their five weeks of annual vacation. Enter the friendly folks at RC Chocolat. For about three years, this bakery has been quietly offering travelers the peace of mind that comes with leaving a precious possession in the hands of qualified professionals. 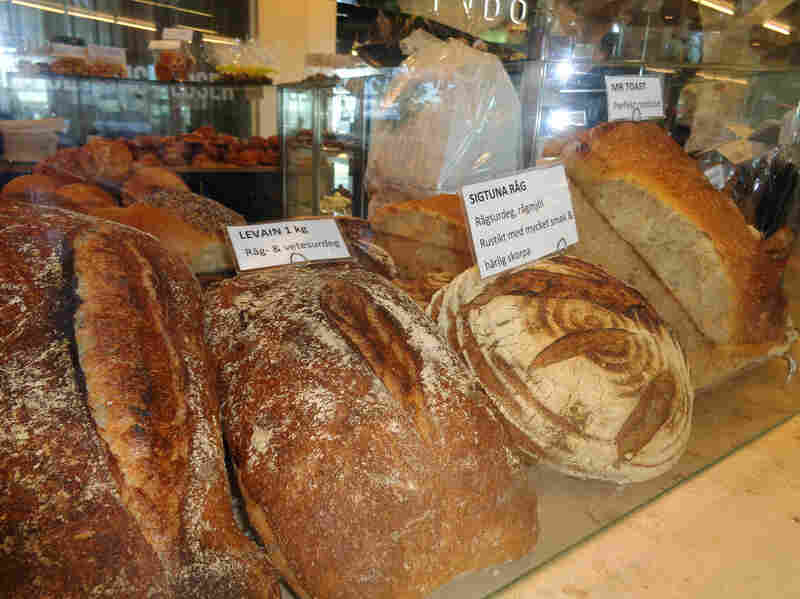 For $3 a day, a flour-covered aficionado can drop off her sourdough at the bakery's Stockholm Arlanda Airport location, fly off to exotic places, and return home to reclaim a happy and well-fed bucket of glop. Joakim Blomquist, one of the company's owners, says a wide range of people take advantage of the service, though he says tech-savvy city dwellers between the ages of 30 and 50 make up a large proportion. "But then you have older people who have been doing it for ages," he explains. "I think we had one [starter] that was 20 years old. You can't tell, but sometimes you ask just for fun. You can see sometimes that the jar is really old." During this Easter holiday (not a long break by Swedish standards), Blomquist and his crew are baby-sitting just two starters. One is bubbling away in a dainty little glass jar, while the other is housed in a plastic guacamole container — not exactly reflective of the level of obsession you'd expect in this situation. On a longer holiday, the bakery might be responsible for five or six starters at a time, Blomquist says. But he admits this was never intended as a moneymaking initiative. "We don't do any advertising. It's just spread word-of-mouth," he says. Sweden has a long tradition of baking with sourdough, but the practice has experienced a major resurgence in the past five to 10 years with the rise of the local food and DIY movements. The Swedish media hype surrounding this trend appears to have peaked about five years ago, when Stockholm's first "Sourdough Hotel" made an appearance. Started by the uber-hip Urban Deli restaurant/shop as a sort of "student art project meets marketing campaign," the concept fizzled after about two years, according to Urban Deli baker Sanny Beuchel. "I think it stopped because ... well, no one really actually turned them in," she says, laughing. "Not that many actually wanted to pay that much money to do it." Part of that may come from a realization on the part of newly risen home bakers that sourdough is not actually as precious as they once thought. "I mean, you're culturing organisms that live on oak bark, that exist in the soil, that transfer from rodent intestines to grain. These are, like, incredibly resilient microorganisms!" says Samuel Fromartz, journalist, pragmatist and author of In Search of the Perfect Loaf. "If you've left your sourdough starter for a couple of weeks or a month, use rye flour to feed it. I find rye is really high-octane fuel for sourdough." And if even a rye diet can't bring your abandoned sourdough back to life? A new batch is not that hard to come by. If you don't want the minor bother of starting from scratch, many commercial bakers can be sweet-talked into parting with a bit of sourdough starter. 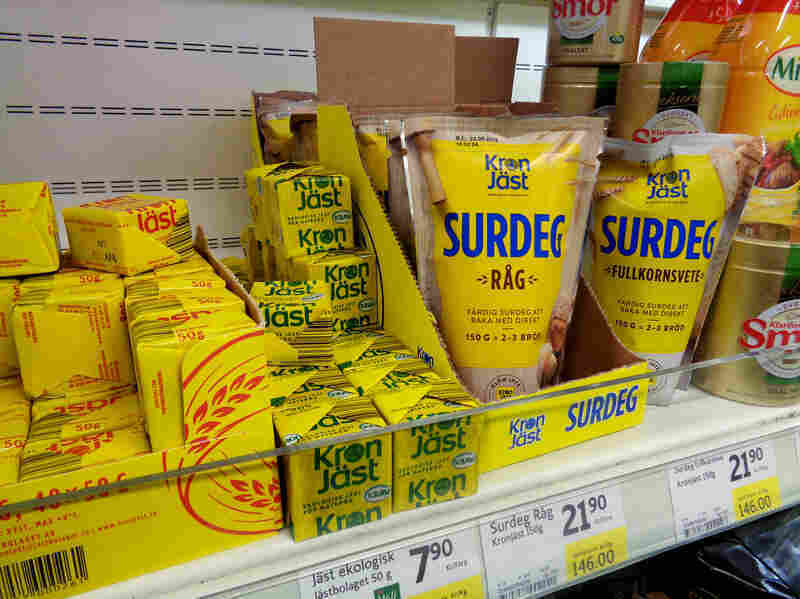 And, in Sweden, it's even now possible to find starter on the shelves of some major supermarkets, tucked in neatly beside the regular yeast. Given all this, it becomes somewhat incredible that RC Chocolat's bakers have any starters to baby-sit at all. And yet, why do we hold on to anything? As Blomquist explains, "I think it's a collector's need. People like to have their own. You get a little obsessed."